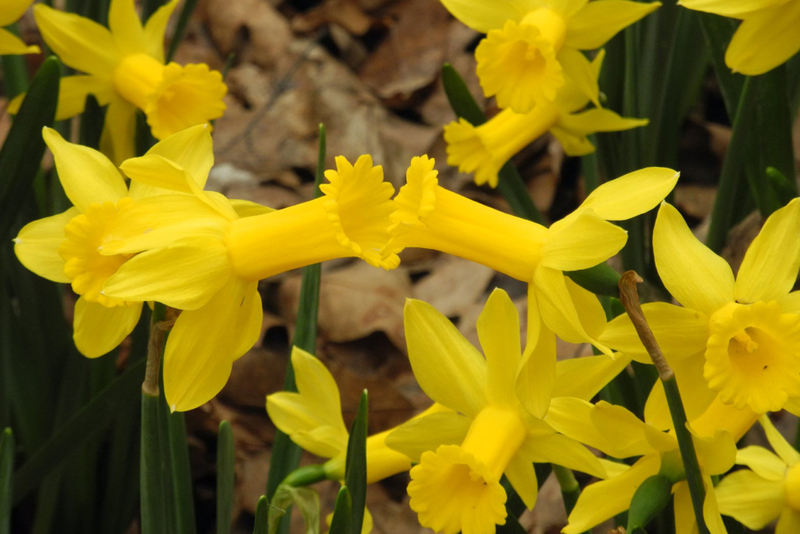 Discover the delights of daffodils during Daffodil Weekend! Enter your perfect bloom in the daffodil show at the Davis Center, Friday 4/12 and Saturday 4/13, that highlights the diversity and beauty of daffodils. Take the trolley on 4/14 from the Gardens down to Lake Newport to explore Daffodil Meadow. Or even hike to Daffodil Meadow with the Wild Women of Mill Creek on 4/14. Enjoy a stroll through the Gardens on 4/13 during a guided walk to see the over 200 different species and cultivars in the Narcissus collection. Daffodil Show Details: Friday, 4/12, entries accepted: 3:00-5:00pm; Saturday, 4/13, entries accepted: 8:00am-10:00am, judging: 10:30am-12:30pm, and show: 1:00pm-5:00pm; and Sunday, 4/14, show: 10:00am-5:00pm.